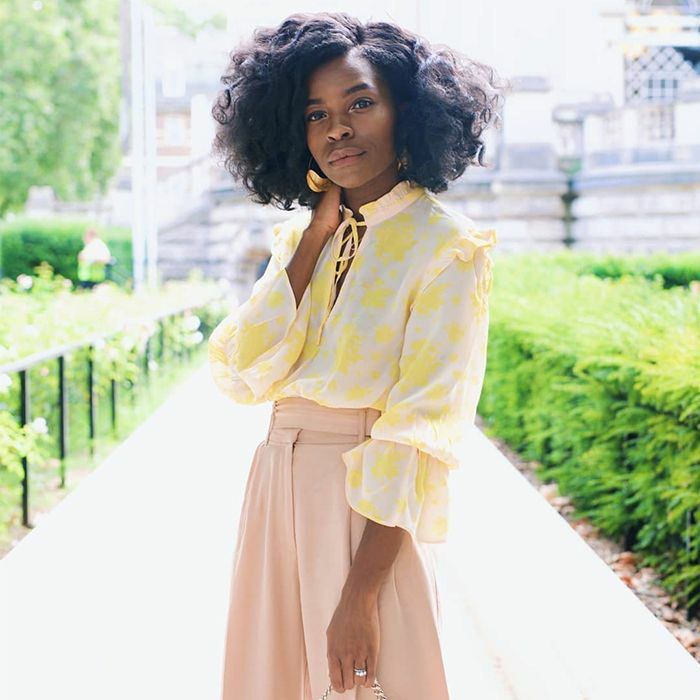 Whether you’re exploring a vintage shop or snagging your latest find from the men’s section (probably in Zara), one thing is certain: The perfect shirt is not always the perfect size. Fitted styles continue to dominate some of our favourite of-the-moment looks—which means that your oversize shape may require a little work. Luckily, shrinking a shirt is a lot easier than you may think, and bringing your favourite button-down a size can be achieved in just a couple hours. As long as your oversize style is made from cotton (and isn’t already pre-shrunk), these helpful tips are well worth giving a try. Read on to discover exactly how to shrink a shirt in two simple ways. There are a couple of effective methods for shrinking a shirt, and one of the easiest is by boiling it. Simply heat up a pot of water, and then shut off the stove as soon as it reaches a boil. Drop the shirt in the water immediately, and then let it sit for about five minutes. If you’re looking for a more serious degree of shrinkage, you can leave the shirt in the water for up to 20 minutes. The longer the shirt is left in the water, the further it will shrink, but obviously, there’s a limit to this magic. Most shirts will only shrink up to a maximum of 20% in size. Once you’re finished soaking the shirt, remove it from the water using a pair of tongs or a wooden spoon. Once the shirt has cooled off enough to touch, wring it out and examine your progress. The boiling process can be repeated as many times as you need to achieve the desired results. As you may have at one point discovered accidentally, shrinking a shirt may be as simple as cranking up the heat in your washer and dryer. First wash the shirt on the hottest setting your washing machine will allow. If you’re washing your shirt with other items, make sure to only include similar colours and to avoid anything that’s likely to bleed. Be sure to turn printed styles inside out, and beware of fragile or vintage pieces: This method of washing can be damaging to thin or delicate fabrics. Next, run your shirt through the dryer on the hottest setting. Knowing how to shrink a shirt can be a brilliant way to customise your closet, but be careful: Ultra-high heat can be tough on fabrics, so shrink with caution. Be sure to try it on between rounds of shrinking to ensure the perfect fit, and you’ll be ready to show off your favourite new (old) shirt in no time.